Our Fab Fash Life: WooHoo...New Year's Eve Outfit & Plans! "New Year's Eve Outfit & Plans!!" At checkout make sure you add the discount code: STARGAZER and get $5 off your ticket! 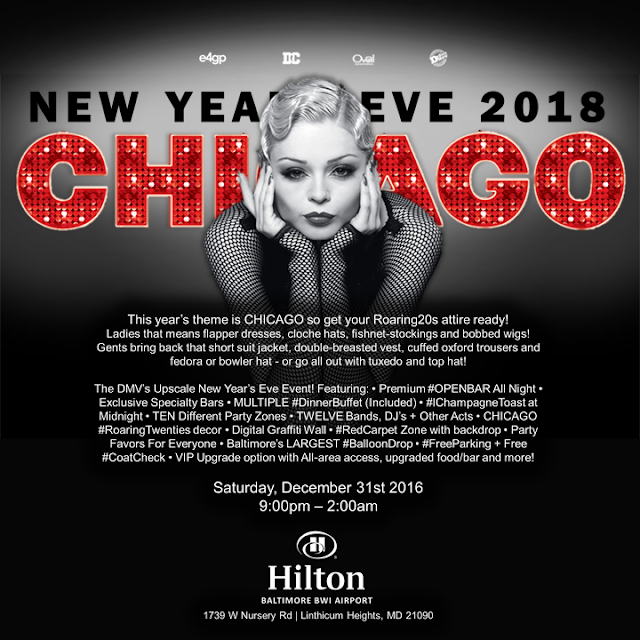 It's going to be the best of the best when it comes to New Year's Eve parties, they have one every year, and each time it just get's better and better. I'm super eager to hear what you're going to be wearing for New Year's Eve, and where you're going? I really wanted to buy a full on flapper dress to wear since the theme is the roaring 20's (so much fun) but I don't think I can get Rob to wear a matching look, so I just went with super sparkly. You can't go wrong with sequins for NYE...lol! I've talked to a bunch of my friends that went to the Charm City Countdown last year and I've got nothing but great feedback, which is why I'm so excited to go. Sounds like a great New Year’s Eve ahead! We haven't made any NYE plans yet...my friends and I are planning on going dancing. i love that dress! and that party sounds like it will be so much fun! that sounds great! Your outfit will definitely shine, too. It's very '20's! We haven't made our NYE plans yet, but I am so it love with this outfit! I’m guessing we’ll spend Nye at home relaxing and enjoying a glass of bubbly. NYE in NYC sounds lovely! That dress is stunning! Love love love! I absolutely love that dress! I still haven't decided what I'm gonna wear for my NYE Party. Looks like the most perfect New Years Eve dress! I love the outfit. This is perfect. Have fun get an uber! That is a VERY cute outfit! I'm jealous! I'm nearly 7 months pregnant, nothing that fancy going on for me. I'll be lucky if I'm up at midnight. I would love to be there and have a good time Happy New Year!!! This is really nice. It's a good feeling to get dressed up fancy and look pretty and go some place fun. Such a cute new years outfit! Still have to figure out mine! I would love to do something like that for New Years. Your shirt dress is very flashy, perfect for the roaring 20's. Beautiful sparkly outfit perfect for welcoming the new year. Thats a really cute outfit for new years!! I like soo much your dress! I love the outfit omg !! The shoes are pretty cute too ! Very cute outfit. I think it'll look great with your planned leggins and boots. New Years is family time so I was in jeans and a Christmas sweatshirt! That dress was too, too fabulous! I'll bet you had a splendid time! It's a very nice plan. You must have had a blast! Hope you had a fab time on New Years Eve. Really cute outfit. I loved this article and the outfit is absolutely gorgeous! Perfect for New Year's! I didn't do anything this year for New Year's just stayed home with my husband and 2 daughters! Now that's what I call a fun night out!! I'm loving the dress and that night sounds like it was tons of fun!! Gorgeous dress sweetie! that night sounds like it was a rewarded experience! That sounds like a fun place to be for nye. We do not have options such as that in the small town where I live. Your outfit will do well also. Hope you had a great night. 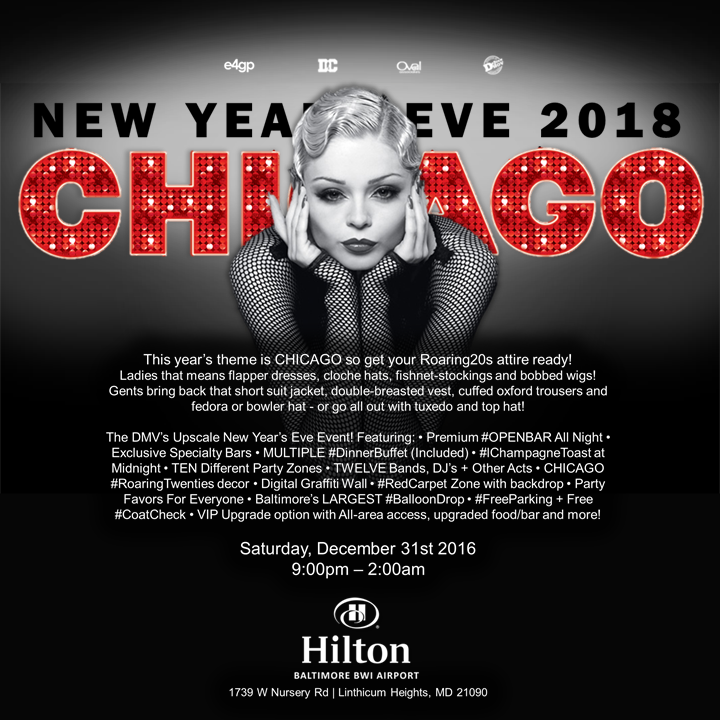 The outfit looks pretty and hope you had a great time at Hilton Chicago. I looovvveeee reading this every day. Never get tired of it! I know New Years is over with but I love the dress! I also like the shoes and purse. You got a great deal from Macy's! I really like that black and white striped top, but how did it feel to wear? Was it smooth or were the bead/ sequins catching? That outfit is perfect love! Ooh, you go ahead girl. It's an outfit worth appreciation! The dress is very nice,.. I just went casual dress this year. We just went for dinner in our town. What a darling outfit! Hope you had a great time. The shirt dress is stunning! I love the entire outfit. Oh my goodness! Such a cute outfit! I didn’t have plans on New Year’s Eve so I didn’t have the chance to get all dressed up. But if I did! I’d love to wear something like this! Great outfit! Sounds like a good time! What a beautiful outfit. I hope you had a lot of fun! I know nothing about fashion but that looked like a cute outfit. I love your outfit! It's the perfect sparkle to bring in the new year! Gorgeous outfit - and bag!! This is a great post and looks like fun. That purse is super-cute and I like the entire outfit. Thanks for posting! Hey, these are so fabulous NYE outfit ideas. That sequined black and white outfit is such a brilliant idea. My best friend is tying the knot in the next month and her theme is also NYE. The reception party is going to be hosted at one of the rooftop wedding venues. It is a grand location with stunning night views.